The Salvation Army provides services to every zip code in the United States, and works 365 days a year to fulfill its promise to do the most good for the most people in the most need. 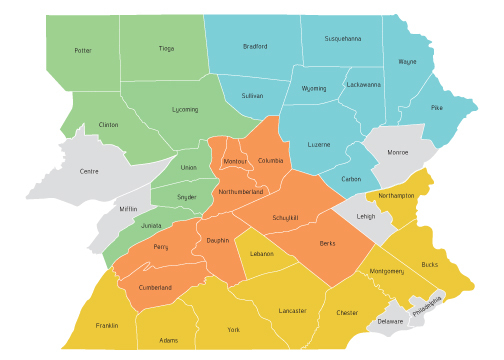 There are more than 163 active Service Units across Eastern Pennsylvania under the direction of the Service Extension Department. They wear no uniform . . . They are a volunteer militia . . . They are the Army behind the Army. A Service Unit (SU) is a committee of volunteers organized in communities where no Salvation Army Corps Community Center exists (a building based program with commissioned Corps officers). The SU volunteers provide emergency financial assistance to individuals and families in financial crisis. Assistance may be provided for food, clothing, furniture, rent and utilities. Seasonal assistance may include summer camp for children, back to school backpacks and supplies and Christmas food baskets and gifts for children. Regional Salvation Army programs are available through the local Service Unit. Volunteers receive specialized training to prepare them to work collaboratively with local agencies to utilize funding entrusted to them to assist those in need in an efficient and cost-effective manner. The extension of service offered by The Salvation Army Service Unit volunteers is important to the communities they serve and indeed makes an impact to those in need. Service Unit volunteers provided assistance to more than 48,000 people last year. Download The Service Extension Map with Contact Information. . . Click On The Map Below . . .
Want to Learn More Aboug Becoming a Volunteer? Download Our Brochure . . . Click On The Image Below . . . 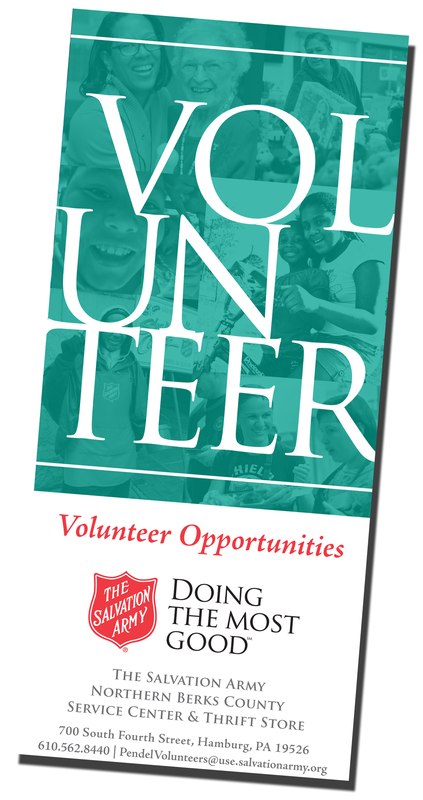 Interested In Volunteering with The Salvation Army? Click On The Button Below . . . Learn More About The Salvation Army's Service Extension Programs and Services . . .